Our website is a finalist in the Archiboo Web Awards 2017, for ‘Best written content’. On our website we aim to present concise, informative and sometimes poetic descriptions of our projects and design approach. 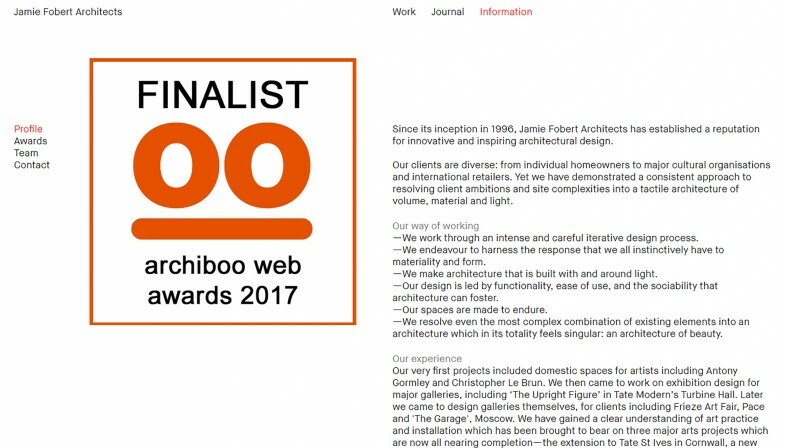 We are delighted that the quality of our written content has been recognised by the Archiboo awards, which seek to spotlight companies in the architecture field that are using the internet in a creative way.